Legal Disclaimer: The information shared on this podcast is intended solely for the purpose of personal growth, and not as a replacement for professional psychological support. The views and opinions of the hosts and guests of our podcast are not meant to be taken as medical advice. Please see additional information here. In this episode we’ll discuss the importance of “finding your tribe” as a hunter-type. What have we lost in our modern life that especially places a burden on hunter-types, and how can you ensure you have meaningful friend and community support as a means of creating balance and well being? We’re joined by Michael’s partner Questa Li as they share the stories of two essential people in the Drummer and the Great Mountain community. In this episode we’ll discuss 10 essential tips for making 2019 a transformative year as a hunter-type, reviewing those key items that can make your life more productive and satisfying. We’ll also announce and discuss our next online workshop, starting on January 19, 2019. See this link for more information. On this podcast we’ll discuss the process of “containerizing” your life. For hunter-types, “flooding” happens when the many details and urgencies of life all flood together creating overwhelm, anxiety, and indecision. Through the process of creating mental boxes to place things in, we can find greater clarity and peace, making life far more manageable. We’ll specifically discuss how tools like mind mapping can really assist in this process. 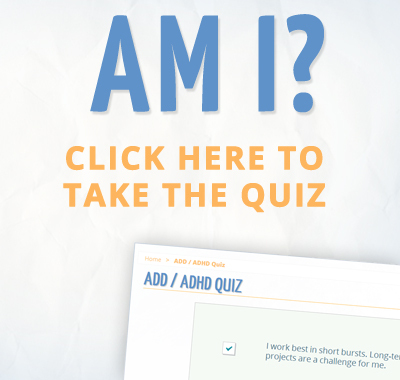 Adult ADHD ADD Tips and Support Podcast – Tips for Using a Paper-based Planner. 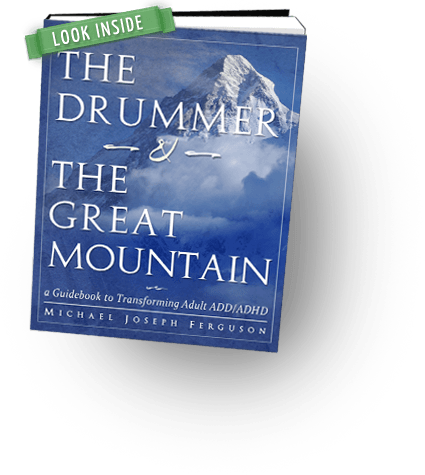 This podcast is an audio companion to the book “The Drummer and the Great Mountain – A Guidebook to Transforming Adult ADD / ADHD.” On this podcast we’ll be reviewing some insights from the recent Alive! Online Workshop. Specifically, we’ll cover tips on working with a paper-based planner. Adult ADHD ADD Tips and Support Podcast – Planning and Scheduling Tips – With Kit Cassingham. 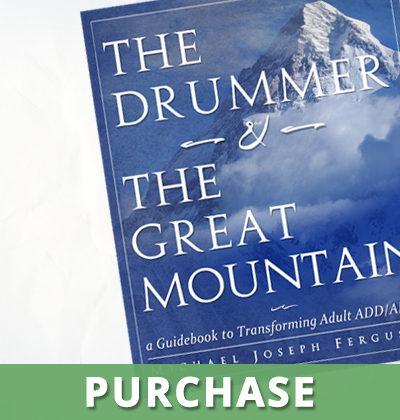 This podcast is an audio companion to the book “The Drummer and the Great Mountain – A Guidebook to Transforming Adult ADD / ADHD.” Planning and scheduling are the foundations for pursuing your life goals. In this episode, we interview life coach Kit Cassingham. We’ll discuss key planning tools for hunter-types, awareness of when to schedule certain items, and pitfalls to avoid when upgrading your time management systems.